You will be pleasantly surprised to find that Dr. Rob treats you as a whole person rather than a collection of symptoms. First and foremost he carefully listens to your story. What medications are you taking? What kinds of foods do you eat? Do you exercise? How does your lifestyle and stress level affect the symptoms you are having? 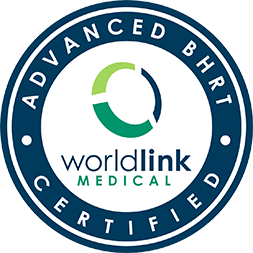 Prior to your Alpha Male Health Evaluation, you will be asked to visit one of our nationwide patient service centers for blood testing so that these results are available when you consult with him. Patients who see Dr. Rob should understand that this is a very comprehensive battery of tests. Laboratory testing includes measurement of all major hormones and various risk factors associated with heart disease, strokes, diabetes and other chronic illness. Second, you will undergo some of the most advanced comprehensive diagnostics in the comfort and privacy of the institute that will further elucidate your complete health profile. At your Alpha Male Health Evaluation with Dr. Rob and his team you will undergo a five to six-hour medical evaluation with a detailed history and physical, extensive diagnostic testing, nutrition consultation, exercise consultation, fitness and flexibility evaluation, a detailed review of your laboratory results and diagnostic tests. Please allow ample time for this visit. This process enables Dr. 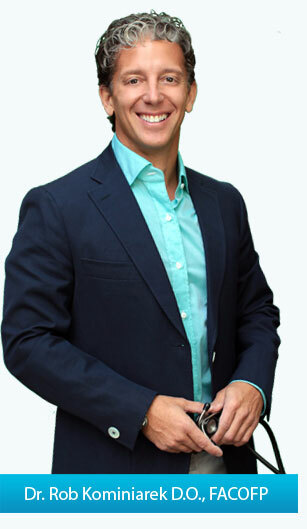 Rob to create your personalized prevention program and monitor your response to hormonal and nutritional supplements. Additional tests may be done if he uncovers occult medical problems that need to be evaluated. Thereafter, at your 3 month, 6 month, and 9 month follow-up visits, Dr. Rob monitors your personal program. Do you feel more energetic? Has your memory improved? Are you sleeping better? Has your libido improved? Have you lost weight? Are you reclaiming your personal Alpha Male status? Necessary adjustments are made to create a customized program that meets your unique needs. 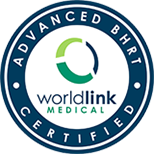 You receive this expert, personalized attention from Dr. Rob and his team for an entire year. Dr. Rob and his team of professionals strive to create a personalized experience restoring the doctor-patient relationship in this superlative concierge medical institute. Because Dr. Rob is a board certified family physician, he is qualified to treat you for most outpatient chronic medical problems. Because he is a proponent of natural medicine, he will often choose dietary modification, lifestyle changes, or nutritional supplements before he prescribes prescription medications. Of course, this depends on the severity of the problem. Serious problems often mandate prescription medications but many milder conditions can be effectively treated with safer natural medicines and supplements. He believes in giving his patients a full range of options for therapy. Whatever therapy is offered is always made with the express approval and understanding of each patient. Another difference that you will find in your membership in the Alpha Male Medical Institute® and with Dr. Rob is that he is a great proponent of patient education and involvement. 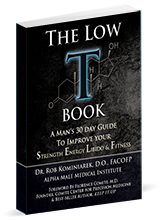 He believes that in order for you to be your personal best Alpha Male you must understand your personal program. He never talks over your head and he goes to great lengths to ensure that you have a good understanding of your problems and workable solutions to achieve your health goals. To get the maximal benefit from a prevention program, you need to be fully informed and engaged in the process.